Good news for all Frank Hampson fans out there, a new reprint volume of his work has just come to light. 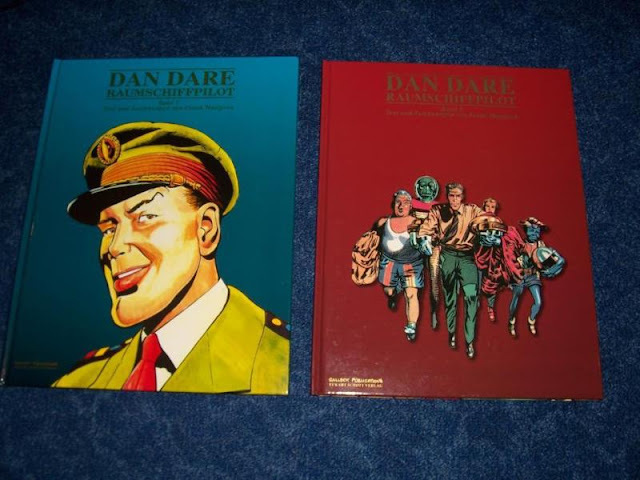 It was actually published in 2015 but Amazon UK only had a copy listed just recently! 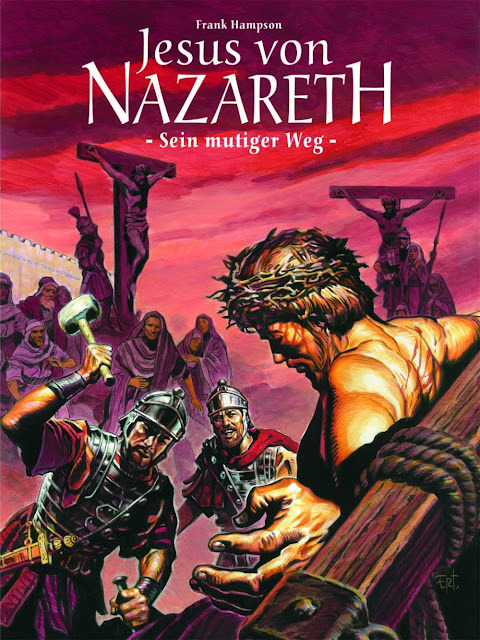 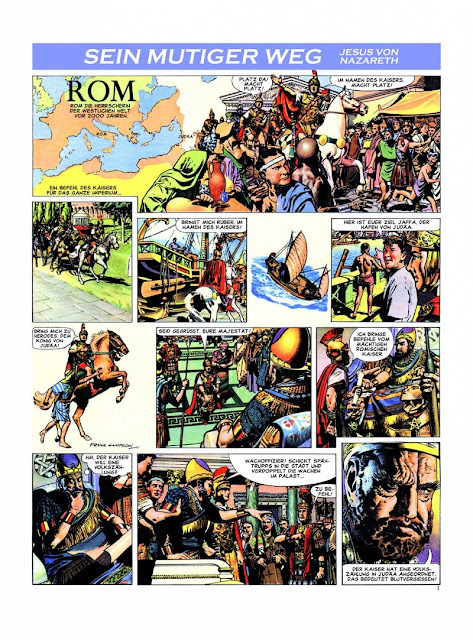 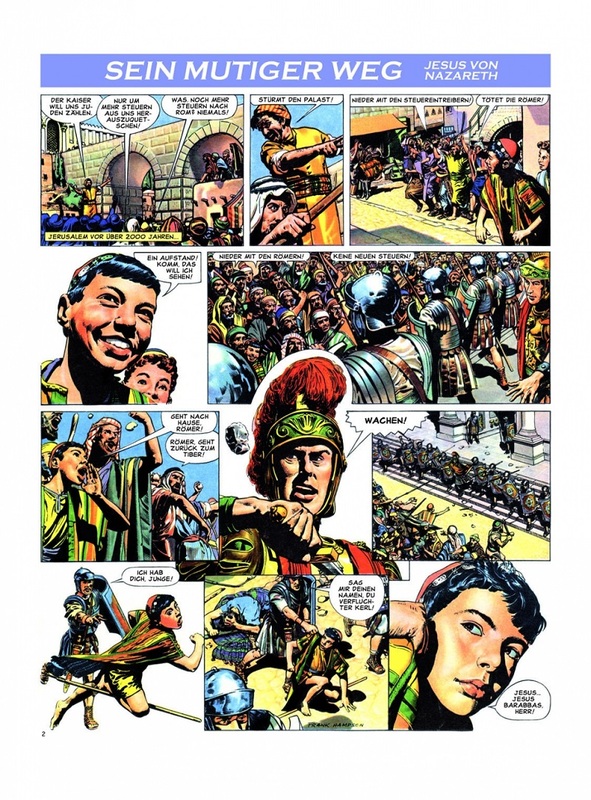 Here's what the cover looks like (art by Ertugrul), as you can see it's a translation of 'The Road of Courage' strip (by Frank Hampson and Marcus Morris), the strip portrays the life of Christ. If you've never seen a copy of this masterpiece I recommend picking up the original Dragon's Dream version.